So far 2014 isn't shaping up to be the Year Of The Satin like I'd hoped...but there are enough now to start me wondering about dupes. 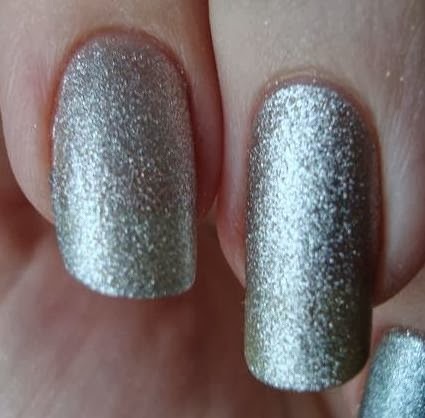 Sally Hansen's Satin Glam line has a bigger range of colors than most other brands and they're the easiest to find in the US, so they're the focal point of this post. 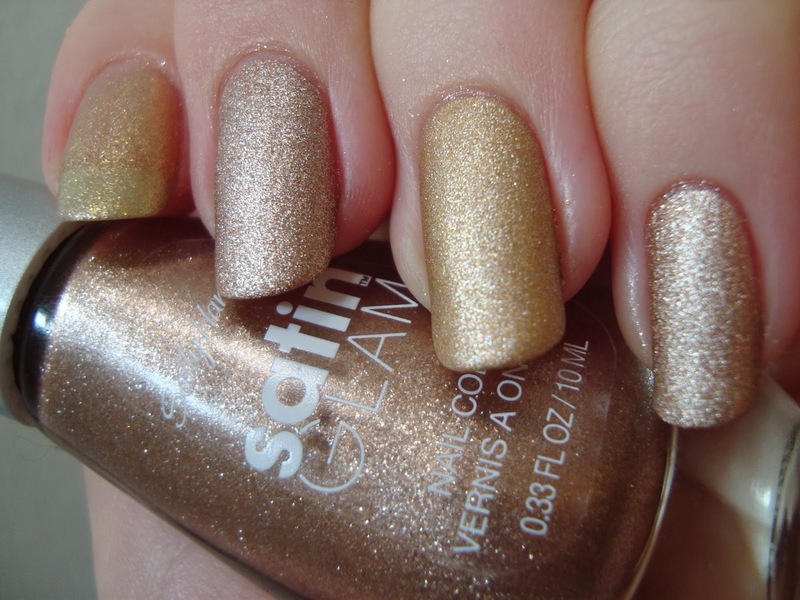 I bought the Satin Glams at CVS, and the rest at Ulta, from an independent nail supply store, or from Misa Cosmetics. This is two coats each of Layla Marshmallow Twinkle (Softouch 01), Sally Hansen Metal Iced, and OPI This Gown Needs A Crown. Right away it's obvious that Metal Iced is considerably bluer than the other two. It's actually kinda startling how different it is. It does look silvery on its own, but next to these two? Blue! So how do Marshmallow Twinkle and This Gown Needs A Crown compare? I brought my index and ring fingers together awkwardly and while they're similar, they're not dupes. Marshmallow Twinkle is sheerer and a bit lighter in color. Two coats again of Layla Golden Touch (Softouch 02), Sally Hansen Go Gold, and OPI Love.Angel.Music.Baby. If anything, the differences are even more obvious for these than for the silvers. Golden Touch is even sheerer than Mashmallow Twinkle, to the point that I'd say it needs to be layered. Both it and Love.Angel.Music.Baby are much yellower than the very soft, neutral gold of Go Gold. These are two coats each of Layla Turquoise Splash (Softouch 10), Sally Hansen Teal Tulle, and Misa Lash Out. I knew there wouldn't be dupes in this grouping, but the results did surprise me a bit. 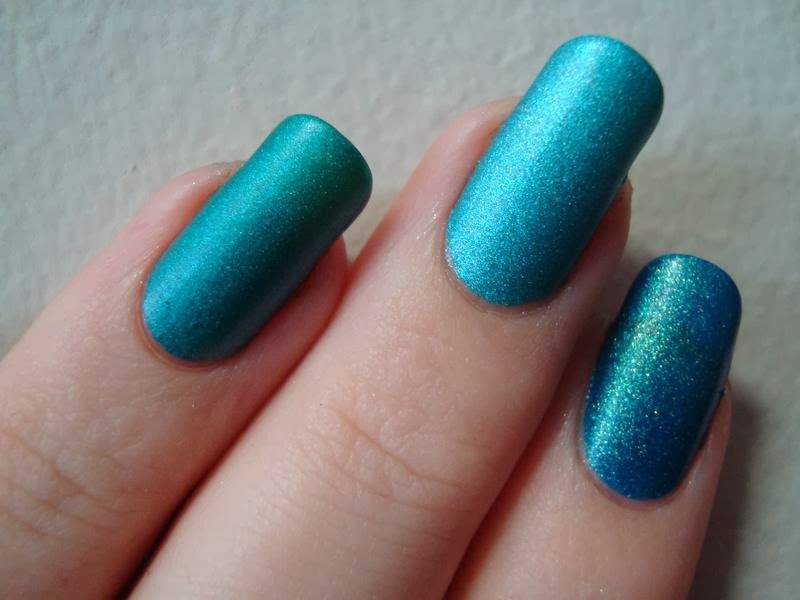 Turquoise Splash has much larger, bolder shimmer and is darker and sheerer than the others. What surprised me is that Teal Tulle and Lash Out have almost exactly the same finish! I wasn't really expecting that. They'd look great in a mani together. ...but even better when my hand is laid flat. If it wouldn't have meant breaking dress code at work, I'd absolutely have done a full mani like this. I love how they play off each other. Bottom line: Not a single dupe in sight! So which should you get? Well...all of them, of course. If you're not a crazy hoarder like me, then it depends on your budget and how you'll wear them. 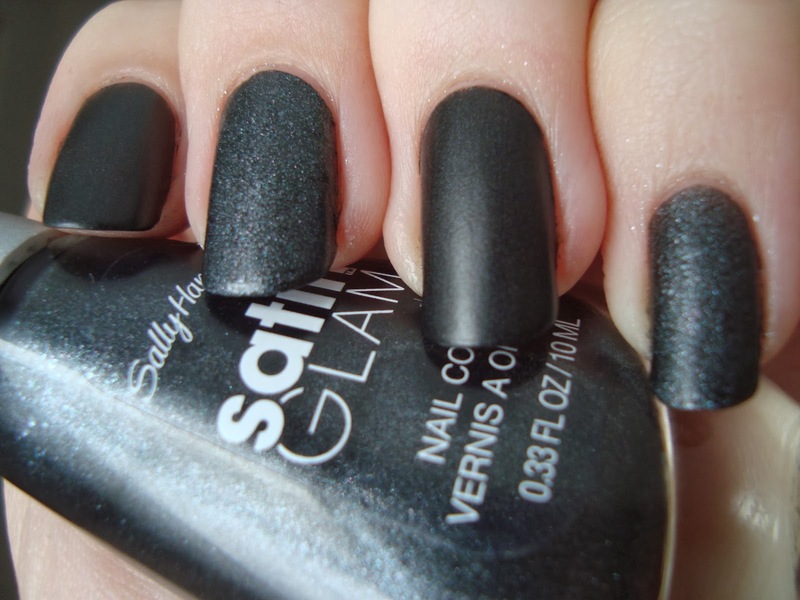 The Sally Hansen Satin Glam line is core at pretty much all national drugstores in the US and is fairly inexpensive. The OPI's apply best, but they're LE. Your chances of finding This Gown Needs A Crown at Ulta are already slim to none. The Laylas are pricey, unless you luck out like I did and find them in Ulta's clearance bin. Misa isn't carried by any national chain. As far as sheer oomph in each color, the winners are OPI This Gown Needs A Crown, OPI Love.Angel.Music.Baby, Layla Turquoise Splash, and Sally Hansen Satin Onyx. 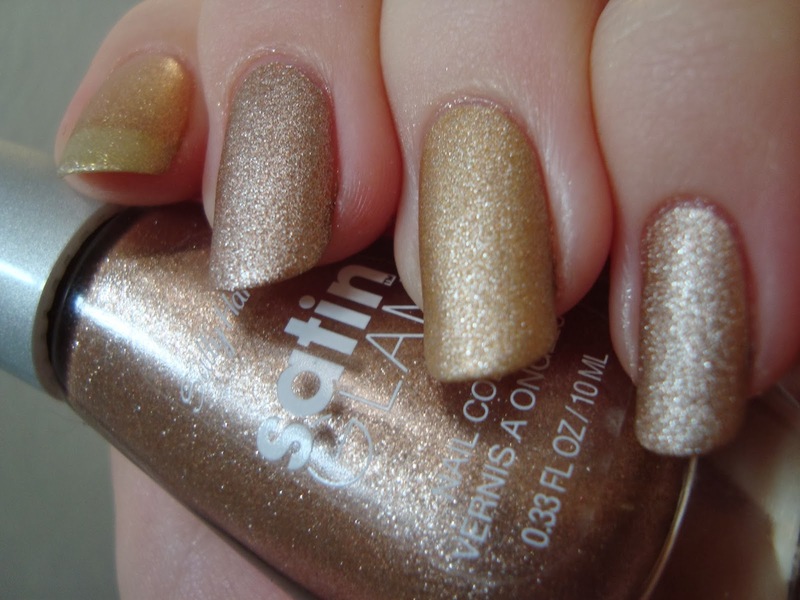 Sally Hansen Go Gold is the tamest and most flattering and is the only one here that I'd call SFW. Layla Golden Touch and Marshmallow Twinkle are sheer, but can be layered. They're all different enough that I don't feel even a little bad owning all of them. Are you as enthralled with satins as I am? Which are your favorites?